When you are responsible for the admin of an Office 365 solution, you need to keep an eye out for what’s happening in your environment. Pro-actively monitoring for errors keeps users happy, ensures that the solution doesn’t get abused and helps avoid unexpected errors or bottlenecks. Reporting is the method for keeping an eye on things and making sure your Office 365 environment is well administered. It’s possible to create custom reports using the Office 365 reporting services, but today we're going to focus on the out-of-the-box Office 365 reports. These are available in the browser, or via Microsoft Excel. No result queries: People have searched for certain keywords, but zero documents came back. For example, people search for “salary”, but all documents in the portal use the term “pay”. One solution would then be to introduce synonyms. Abandoned queries: People have searched and received results, but not clicked on any document. The root cause may be a wide variety of issues - this requires a case-by-case investigation. Top queries: People are searching for this query the most. If this is important information, it could be useful to publish relevant articles to, for instance, the home page. The new app model in SharePoint 2013 and Office 365 allows users to install apps directly from the Office store. These apps are developed and maintained by third parties, so it’s good to keep an eye out for what people have installed. And, when people in your organization encounter an error with a custom app, they’ll probably contact their own Office 365 admin first, before contacting the company that implemented the app. To view everything you need to know about apps running in your Office 365 environment, go to the app usage and error information reports. Where did that email go? Nowadays we expect emails to always arrive at a destination if a valid email address was supplied. This is not always the case however. Congestion on the network, email server failures, power outages, and so forth can cause emails to not arrive at their expected destination. The Trace an Email Message will give you all the information you need when an email sent by your organization doesn’t arrive at the destination. The foundation of document management in SharePoint is the use of content types. However, content types are configured and maintained at site collection level. Before SharePoint 2010, these could not be shared between site collections. Introduced in SharePoint 2010, content type publishing allows users to share content types between site collections. But, sometimes, this publishing fails for whatever reason. A lot of things happen under the hood when content types are copied to content type subscribers, and the error returned to the users is not obvious to all. These errors are logged in the error logs for content type publishing. By looking at these logs frequently, it’s possible to notify users of these problems and help them pro-actively. Everyone receives spam, and most of those emails will be blocked by proper spam filtering and malware will be blocked by virus scanners. This is all out-of-the-box functionality in Office 365. However, it pays off to have a look at which emails have been blocked by the spam filters. Perhaps some emails have been blocked incorrectly, and the spam filters require a little tweaking. The extensive mail protection reports in Office 365 provide an overview about malware, spam, and rule detection. Lots of things can go wrong in your Office 365 portal. Users will be happier when you are able to pro-actively identify problems and come up with a solution. 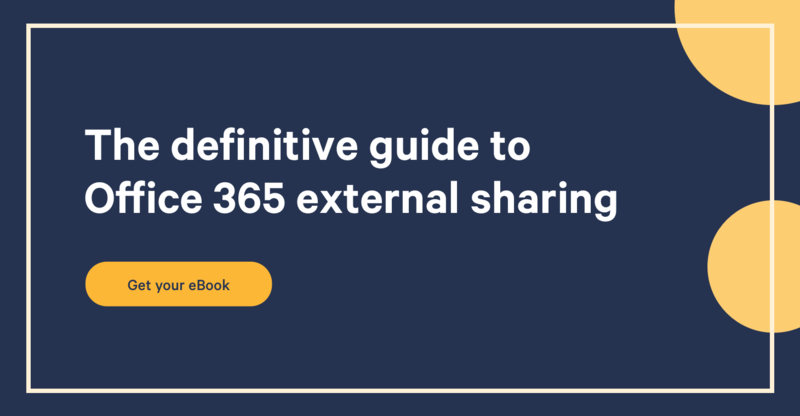 Investigating problems is easier if you know where to go, and the Office 365 reports listed in this blog post should give you a good head start when a problem occurs. And it’s not only about errors. By highlighting usability issues with search, content can be improved, search rules can be updated, and so on. In the end, this means users will be able to find their information more easily. By using reports in Office 365, the users will be happier in the end. And, happy users means happy conversations with admins, so everyone is delighted! Do you guys use other out-of-the-box Office 365 reports to keep an eye on your environments?